We herbalists are all for preventive medicine, that means get your horses’ immune systems in optimum working order and keep them that way. Why wait until something goes wrong? Because it is sure to do that just when you are ready to go to a competition. 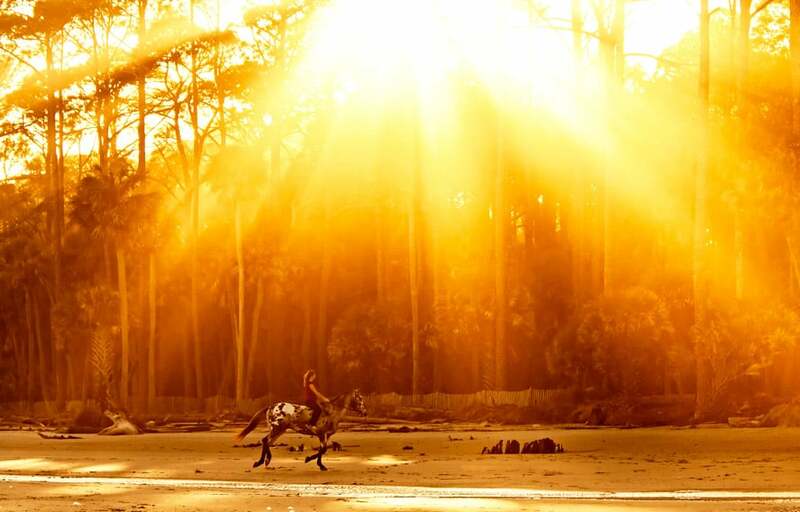 The modern sport horse is under a fair bit of stress – and all of these take their toll on their immune systems making it easier for them to succumb to a variety of health problems such as respiratory infections, viruses, travel sickness and gut ulcers. The best defence any horse can have against all of these, and a few others besides, is a strong and healthy immune system. After 25 years of healing horses with infections of all kinds and getting their immune systems back afterwards, I always recommend a good herbal boost in Autumn. My Earth Horse Formula has five fabulous herbs working together to strengthen the immune system so it can withstand challenges. The herbs are Echinacea, Withania, Rosehips and Vervain. Echinacea needs no introduction but I always use both species Purpurea and Angustifolia which makes it doubly effective, Rosehips are well known for their high Vitamin C and anti-oxidant content and immune boosting properties, Withania, an Ayurvedic adaptogenic herb which boosts the immune system and adrenals, plus Vervain, a nervine herb which strengthens the nervous system and is also tonic to the liver. The formula is made from human medicinal quality extracts grown organically in Tasmania, and is very palatable to horses. It is orally syringed which means it goes straight into the bloodstream via the liver, and does not have to go through the digestive tract, which makes is very quick acting. Yola Cox used the Earth Horse formula when she completed the Darwin to Corryong 4,000 km charity ride. She was the only rider to complete with the same two sound horses. 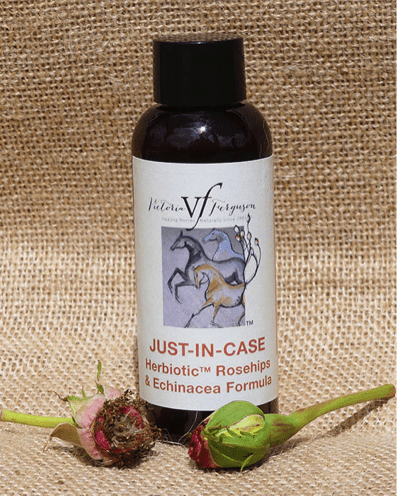 For treating infections of any kind, my Herbiotic Formula with Rosehips, Echinacea and Organic Garlic is called for. The body wards off diseases through two systems of defence, immunity and non-specific resistance. The latter offers immediate protection against a variety of invaders, by mechanical barriers such as skin and mucous membranes as well as phagocytosis, inflammation and fever. Phagocytosis is the engulfment and digestion of bacteria and other foreign particles by macrophages and monocyte cells. Immunity involves activation of specific lymphocytes that combat a particular pathogen or other foreign substance. The body system that carries out immune responses is the lymphatic system. It concentrates invaders such as bacteria, viruses, foreign substances and cancer cells in certain lymphatic organs, circulates lymphocytes through the organs to make contact with the foreign substances, destroys them and eliminates them from the body. Immunity also involves distinguishing self from non-self molecules and memory for most previously encountered antigens so that future encounters prompt an even more rapid and vigorous response. The natural immunity of a body, be it man or horse, is a precious possession which requires nurturing, not abuse. Feeding processed feeds, synthetic supplements and routine injecting of drugs and manufactured vitamins constitutes abuse which seriously weakens the immune system. Every injection causes a metabolic shock and there is a serious risk of infection being introduced, especially into joints. In today’s world, a healthy immune system is the best protection any horse can have from the nasty array of pathogens that are constantly mutating and becoming resistant to antibiotics.